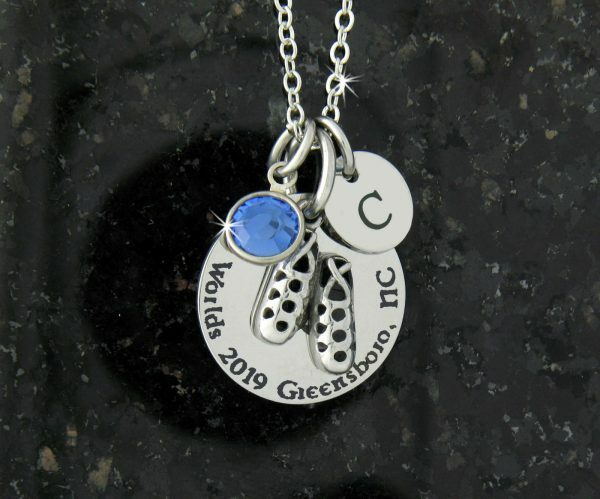 This lovely limited edition necklace features a pair of ghillies floating over a commemorative disk laser etched with “World’s 2019, Greensboro NC” and a Trinity knot. This lovely limited edition necklace features a pair of ghillies floating over a commemorative disk laser etched with “World’s 2019, Greensboro NC” and a Trinity knot. 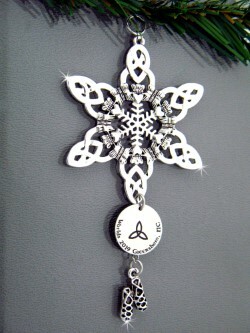 The necklace is on an adjustable chain so that it can be worn by all ages. 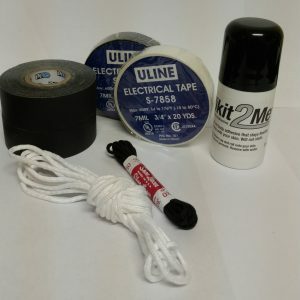 Stainless steel for durability and ease of care (no need to polish!). 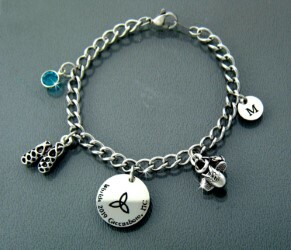 Shown with optional birthstone and initial, which are available separately. Specify birth month and initial in notes at checkout.